AKIPRESS.COM - Rio Tinto CEO Jean-Sebastien Jacques said in an interview with The Telegraph a dispute with China over copper exports from Mongolia will be resolved shortly. Jacques said the Anglo Australian miner was used to working with the authorities in the region and hoped to resume exports soon. 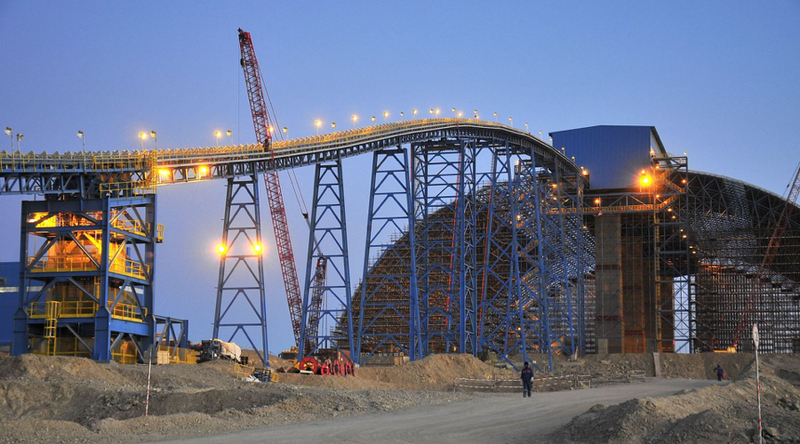 Last week Rio’s subsidiary in Mongolia was forced to suspend copper shipments from its vast Oyu Tolgoi mine after Chinese authorities closed a border crossing and ordered copper to be shipped via a different route. The miner expressed concerns that queuing trucks were being made to wait in sub-zero temperatures. China’s action was thought to be due to its displeasure at a visit to Mongolia by the Dalai Lama, the Tibetan spiritual leader who is not recognised by Chinese authorities. Mr Jacques, who shepherded Oyu Tolgoi into production in his previous role as head of copper, said the miner was used to such “bumps in the road”. “Each time we would work with the authorities and each time it was resolved. I’ve no doubt it will be resolved this time,” he said. The mine is a flagship project for Rio Tinto, which earlier this year approved a $5.3bn (£4.2bn) expansion to tap deeper levels of the deposit. Nearly all of Oyu Tolgo’s output is sent south to China, the world’s biggest consumer of metals. The flare-up in Mongolia is the merely the latest headache for the Rio boss, who is contending with two separate regulatory probes into the mining giant’s past activities. Three regulators, including the UK’s Serious Fraud Office, are looking at a £10.5m payment made to help secure an iron ore deposit in Guinea, while US authorities are investigating a $3bn writedown on a mine in Mozambique. Rio Tinto is targeting a $5bn boost in free cashflow over the next five years as it looks to wring more out of its assets.